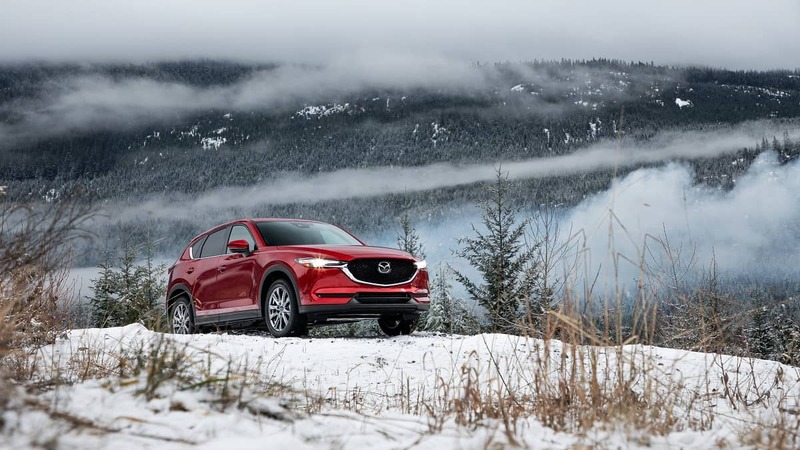 The 2019 Mazda CX-5 is the best vehicle in its segment according to Car and Driver. We could not agree more. Each year, Car and Driver (CD) creates a list of its top picks in each vehicle category. For 2019 the publication has named the Mazda CX-5 the best in its segment. We're glad to agree with Car and Driver on this opinion, though we came to the conclusion a little differently than CD. Car and Driver does not pick the best overall vehicles in any given segment. If the vehicle isn't the most satisfying to drive, CD will disqualify it. The editors only approve of vehicles that are quick compared to peers and handle very well. With regard to sports cars and sporty cars, we agree with that philosophy. However, the fact remains that in the family vehicle segments, many of the vehicles that are the most satisfying to drive aggressively, are also not that great in many practical ways. We also value safety and fuel economy more than CD does. The good news for Mazda CX-5 fans and shoppers is that the CX-5 has the whole package. We recently pointed to the CX-5 as a premium vehicle from Mazda, not a mainstream crossover. CD seems to agree, saying in its story, "It provides luxury-grade interior refinement—particularly in its new Signature top trim level—at solidly nonluxury prices." Car and Driver also pointed out that the CX-5 feels like it a "Sized up Miata." And the publication noticed that the CX-5 now has a powerful new engine that offers more torque than most of the premium crossovers its size. We also like that Car and Driver explained why it did not pick the all-new 2019 Toyota RAV4 as its best of the segment. It calls the new RAV4 "merely satisfying, not engaging.." CD also had some unkind words about the all-new 2019 Subaru Forester, saying the Forester is "dull." Ouch. Car and Driver summed up its pick of the Mazda CX-5 by saying, "When we tell you that the Mazda CX-5 is the best compact crossover for sale today, it’s not only because we believe it to be true. It’s also in the hope that by rewarding this particular brand of excellence, we’ll encourage more of it." The 2019 Mazda CX-5 earns an IIHS Top Safety Pick Plus rating. The top two trims now come with a turbocharged engine offering 310 lb-ft of torque, more than is found in the Lexus NX300 or the all-new 2019 Acura RDX. Mazda's all-wheel drive CX-5 even has a lower annual cost for fuel than the RDX, Infiniti QX50, and Lexus NX. See Car and Driver's full story here. Ho hum, another overstressed 4-cylinder engine – at least the 4-cylinder in the Model T wasn't overstressed. Then having to fuel the Mazda with Premium. The result? – an embarrassing towing capacity of 1,500lbs. This is not "progress". The key, from Car and Driver: "When we tell you that the Mazda CX-5 is the best compact crossover for sale today..." Right – the best today – not just the best. Yesterday was better. The Mazda CX-5 is the one in the fuel economy comparison in the story that does not need Premium. Going by memory here, but pretty sure Mazda only recommends premium for the Miata. And there most likely because in performance cars a few hp on the spec sheet does matter to many buyers. Thanks for checking in! We like your comments. I like Mazda cars vroom vroom !